TEi supervisor makes a splash at new site! 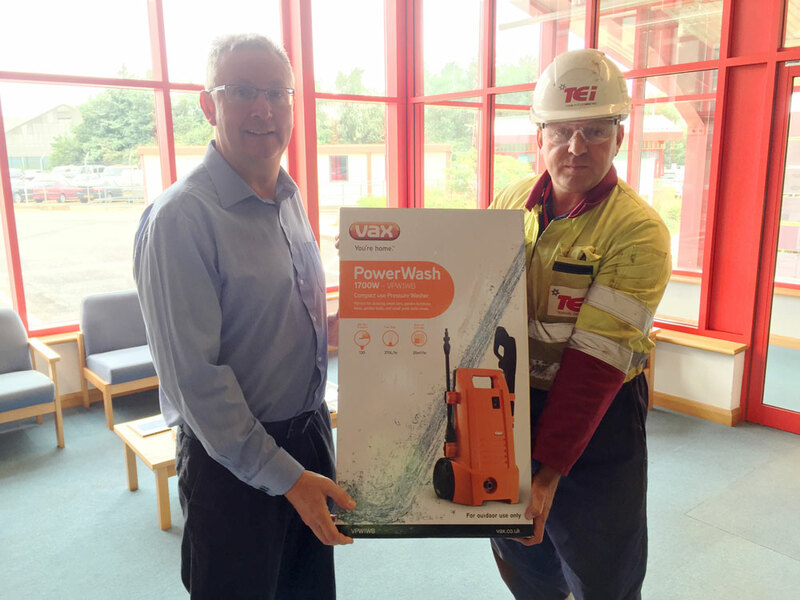 John Fitzsimmons shown receiving an award from Gary Dempster, Station Manager at Sutton Bridge power station. John thought out of the box (or out of the confined space) when he studied the drawings and came up with a great idea that would allow the same level of inspection to be carried out without entering. This method greatly reduced the risk to both TEi, the inspection team and our heat treatment contractor by not carrying out any grinding, cutting, heat treatment (at 750deg C) welding or an Argon purge into the confined space. Yet another great example of TEi applying the requirements of the regulations to ensure ‘Nobody gets hurt!’ Congratulations to all the team!